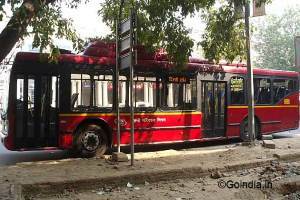 Delhi started from here, traditionally this place is known for Indraprastha mentaioned in the Mahabharata. Archeological excavation in and around Purana Qila was completed in the year 1973. 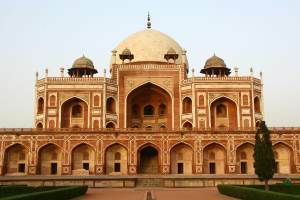 The remains of several pre historic and upto Sultan and Mughal period were found. Several sculptures and arts were one display at museum inside the fort. 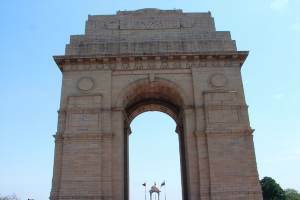 Located at the centre of Delhi city this place is close to India Gate, Pragati Maidan , Supreme court and many important places. Close to the Purana qila there is a zoo here which is close on Friday. One museum and a lake with boating facility are available close to the fort. The Zoo remains open from 9 AM to 4.30 PM during 1st April to 15th Oct. From Oct 16th to March 31st the opening time is from 9.30 AM to 4 PM. Zoo remains close on every Friday and 26th Jan and 15th Aug.
Children upto the age of 15 is free. 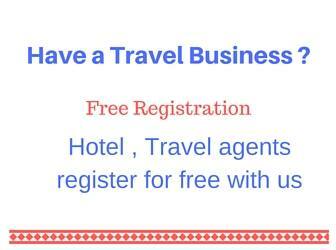 Museum entry fee or Rs 5 is to separately purchased from the same booking counter. Fort is open from sunrise to sunset. Archaeological museum is open from 10 AM to 5 PM ( Friday close ). Rs 40 for children 3 to 12 years, students, physically challenged and senior citizens. There is a parking place and ford court is available near the Zoo. 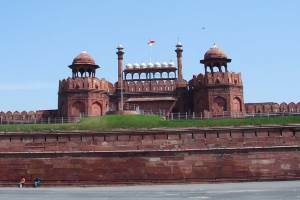 This old fort was constructed by several rulers of Delhi and main contribution came from Humayun and Sher Shah. There are gardens and green lawns around the monuments inside the fort. The main attraction of old fort are here. This is the main entrance of the fort, before entering buy your tickets. This 20 meter tall main gate structure is having 3 floors. This western gate was part of the main fortification with bastions on either side. There are Jharokhas and Chhatris are used for decorative purposes. Built by Sher Shah in the year 1541 the main prayer hall of this Masjid 51 meters by 15 meters, the centre of the fa�ade is 16.5 meters in height. For beatification mixture of red and yellow stand stone with white and black marble is used. 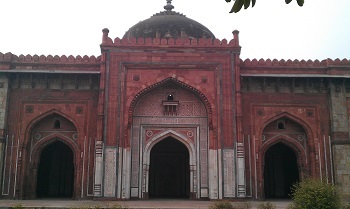 The Mughal style of Jharokhas and octagonal turrets at the corners are visible in this Masjid. 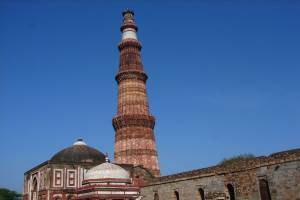 This double storied octagonal shape structure is having external diameter of 16 meter and the height from the base to top of the parapet is 13.5 meters. 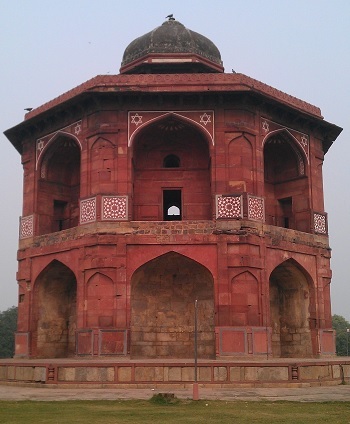 At the top there is a doomed chhatri ( pavilion ) , it is said that this building was Humayun's library. On Jan 20th 1556 while coming down the stairs after hearing the call to prayer he fell down and severely injured. He died after 3 days. This bathing place is in damaged condition. The ruins of terracotta pipes and ribbed water chute can still be seen in rooms. These bath house have provision for hot and cold water and even steam rooms. That was a pert of Mughal culture. This tall gate was actually constructed by Sher Shah. There are several artworks and decorative works are existing in all parts of this building. This building is mostly in damaged shape so avoid climbing up or enter inside. However many such entrances are now closed. 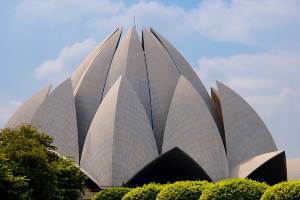 Total duration of visit will be 2 to 3 hours and you can plan for light and sound show in evening.